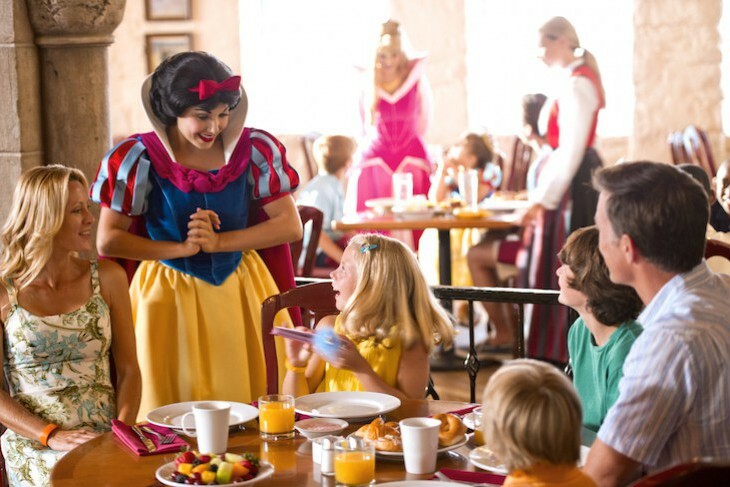 Princess Storybook Dining; Scandinavian cuisine at the Norway Pavillion. Breakfast, lunch, and dinner. German cuisine in the Germany Pavillion. Lunch and dinner. French cuisine at the France Pavillion. Dinner only. Upstairs from Chefs de France is Monsieur Paul, a tribute to Chef Paul Bocuse who achieved three Michelin stars at his famous Lyon restaurant for 48 straight years. 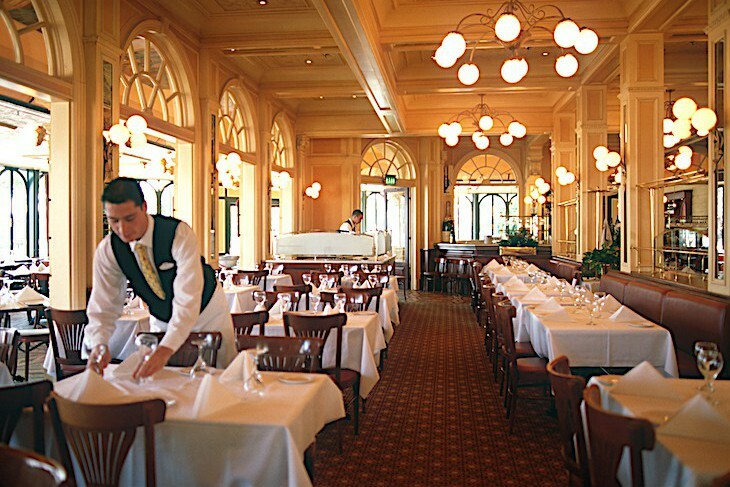 With a menu created by Chef Francesco Santin who worked with Chef Paul, the restaurant has been updated and modernized since its last incarnation as Bistro de Paris serving classic French dishes, or at least modern interpretations of them, served. Dine in a casual Art Noveau space with grape purple and asparagus green décor (more tasteful than it sounds), fun bubble lighting, and a lovely, understated look along with classic French service. Make your first bite an updated twist on typical escargot encased in ravioli with a sublime cream of parsley sauce. Follow that with a salad of endive with poached pears, a Roquefort cream dressing, and caramelized walnuts. Very different is the gorgeous truffle soup with its dome of puff pastry that is almost too pretty to eat…I said almost. Oh, and can we talk about the bread here…five types, all so perfect, the best being the mushroom and bacon roll, or perhaps the braided sundried tomato and basil. For the main course maybe a roasted Berkshire pork chop with fricassee and puree of savoy cabbage and pork jus, or an even lovelier black sea bass topped with golden brown potato “fish scales”, served with a somewhat overwhelming, yet delicious rosemary sauce. And for dessert try the caramelized apple with shortbread Brittany-style, vanilla cream, green apple sorbet, and warm caramel sauce—all else pales in comparison. Cara's Tip: Those dining a deux should request a window table (most are only for two) to receive a nice view of the lagoon. French cuisine at the France Pavillion. Lunch and dinner. Seafood at the Living Seas Pavillion. Lunch and dinner. American cuisine in the Land Pavillion. Breakfast, lunch and dinner. Mexican cuisine in the Mexico Pavillion. Lunch and dinner. Steakhouse in the Canada Pavillion. Lunch and dinner. Chinese cuisine in the China Pavillion. Lunch and dinner. Moroccan cuisine in the Morocco Pavillion. Lunch and dinner. Pub Food in the United Kingdom Pavillion. Lunch and dinner. 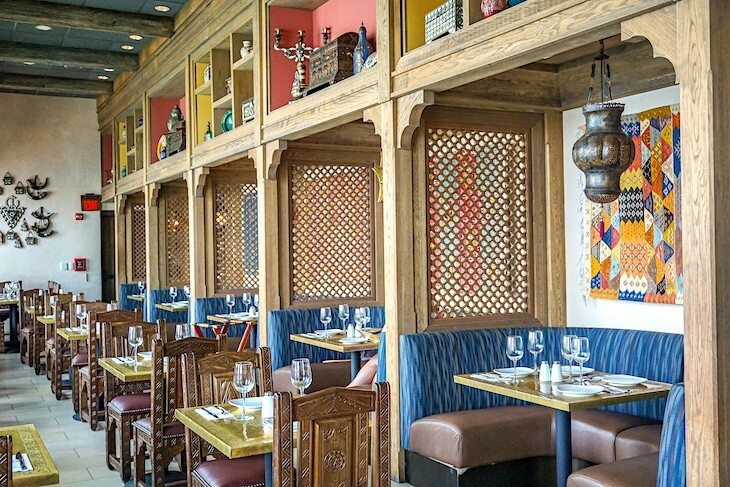 South-of-the-border cuisine at the Mexico Pavillion in World Showcase. Lunch and dinner. 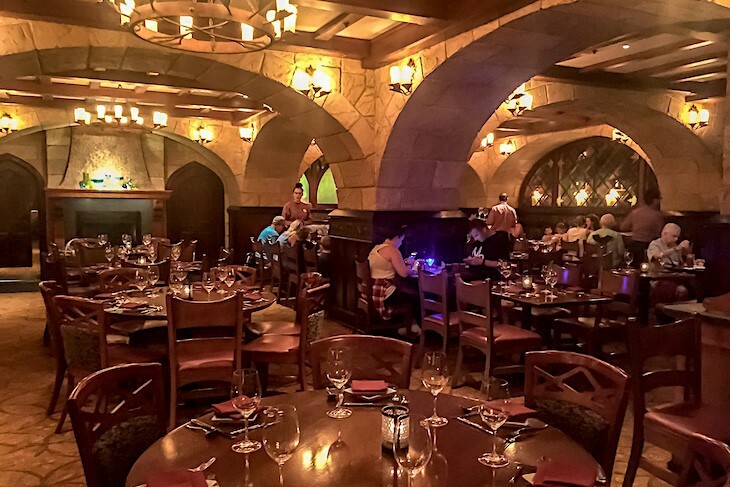 A romantic ambience where it is perpetual nighttime alongside the inky Rio del Tiempo (River of Time) combined with a much improved menu is a great recipe for one of Epcot®’s better dining choices. The historic ambience of the original San Angel in Mexico City scores bonus points for a more refined feel than some of the other Epcot restaurants. Start with a specialty margarita like blood orange or passion fruit, or one of the more classic varieties, but beware that all are quite sweet; if a tart margarita is more to your liking ask for extra lime to be added. Good starters are tlacoyos de chilorio, corn cakes topped with refried beans, savory pork, queso fresco, a touch of sour cream and tart green tomatillo sauce; or tostadas de tinga, crispy tortillas topped with grilled chicken, black beans, and tasty queso fresca. Entrees such as pollo a las rajas, grilled chicken breast served over red peppers, an overload of onions, chile poblano, chorizo, and melted cheese fits the bill for those who crave rich flavors, but meat lovers might consider the tacos de carne with tender strip steak, avocados, whole grilled green onions, and chipotle sauce in soft flour tortillas. 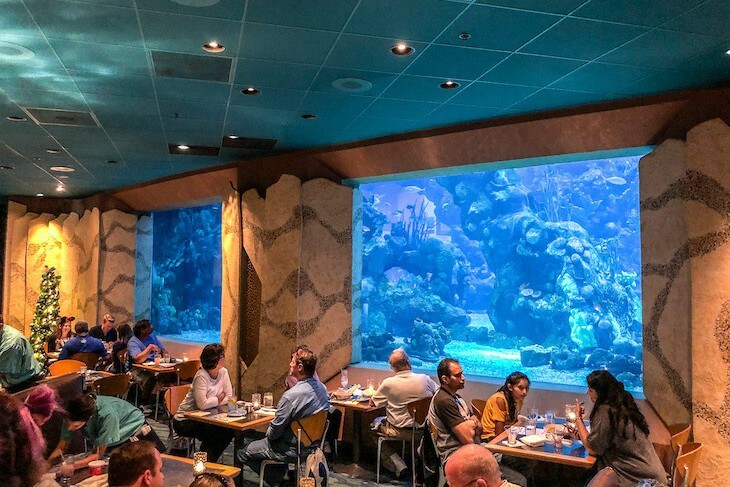 Seafood seekers will enjoy the Veracruzano fish, a savory combination of fresh fish topped with a capers, olives, bell peppers, onions, and tomato sauce. Or, if it’s a kick you’re seeking, then the piquant shrimp a la diabla with cascabel chili sauce served over a creamy yuca puree is the way to go. An authentic dessert choice is the helado del dulce de leche, a vanilla ice cream mixed with delicious Mexican caramel sauce. If you’re in luck the fabulous Mariachi Cobre will be performing during your meal. Japanese cuisine in the Japan Pavillion. Lunch and dinner. Sushi and Japanese cuisine in the Japan Pavillion. Lunch and dinner. 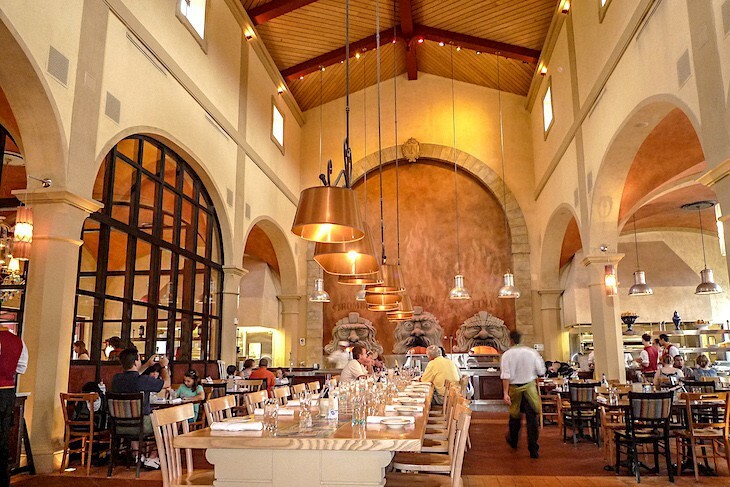 Italian cuisine at the Italy Pavillion in World Showcase. Lunch and dinner. 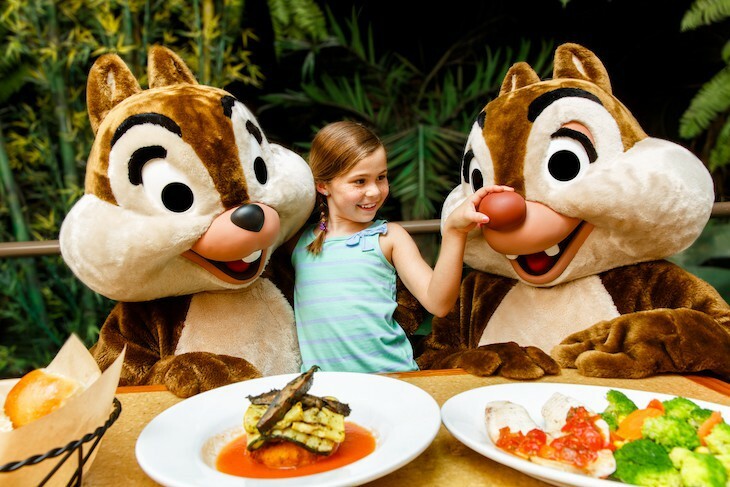 With an obligatory charming maitre d’ and no less than three flirty waiters to serve you, this is one of the better restaurants in World Showcase. The décor is one of glittering chandeliers and walls of murals depicting ancient Rome; definitely a slightly formal, Old World ambience. And from my place at a window table overlooking the piazza and its fountain, with Italian arias playing in the background, I could almost swear I was smack dab in the center of my much-loved Rome. ragu and a creamy béchamel. A side of whatever vegetable is being served is always a good bet, my last taste being that of crisp-tender green beans glistening with fruity olive oil and sprinkled with ripe cherry tomatoes and fresh tarragon. Italian cuisine in Italy Pavillion. Lunch and dinner. You must plan a meal here if only to try the best pizza I’ve had in ages. More like a neighborhood trattoria, I almost prefer it to its next-door neighbor, Tutto Italian, although both have their assets. On beautiful days you might want to choose the outdoor patio, but it would be a shame to miss the entertaining hustle and bustle of the main dining room with its open kitchen, frescoed walls, and the massive faces of the three pizza ovens appropriately named Stromboli, Vesuvius, and Etna after Italy’s active volcanoes. There’s even a huge communal dining table perfect for those eating solo. To start, the Fritto Misto platter gives you a sampling of the fried appetizers on the menu including the calamari, zucchini, mozzarella, asparagus, artichoke hearts, even the arancini, all served with a zingy pomodoro sauce. And speaking of arancini, these fried risotto balls are quite the delicacy with a touch of meat ragu filling on a bed of light tomato-basil sauce. When it comes to pizza it’s a tough decision, but I would go with the Carciofi Bianca, a white pizza (sans the tomato sauce) topped with freshly grilled chopped artichokes and sprinkled with heady truffle oil. Wood-fired, thin yet chewy, and cooked to smoky excellence, it's topped with a tasty blend of fontina and mozzarella cheese and just a touch of garlic. This is the stuff dreams are made of! And no question about it, order the zeppole for dessert, crispy ricotta cheese fritters served with whipped cream and oh-so-good chocolate sauce!